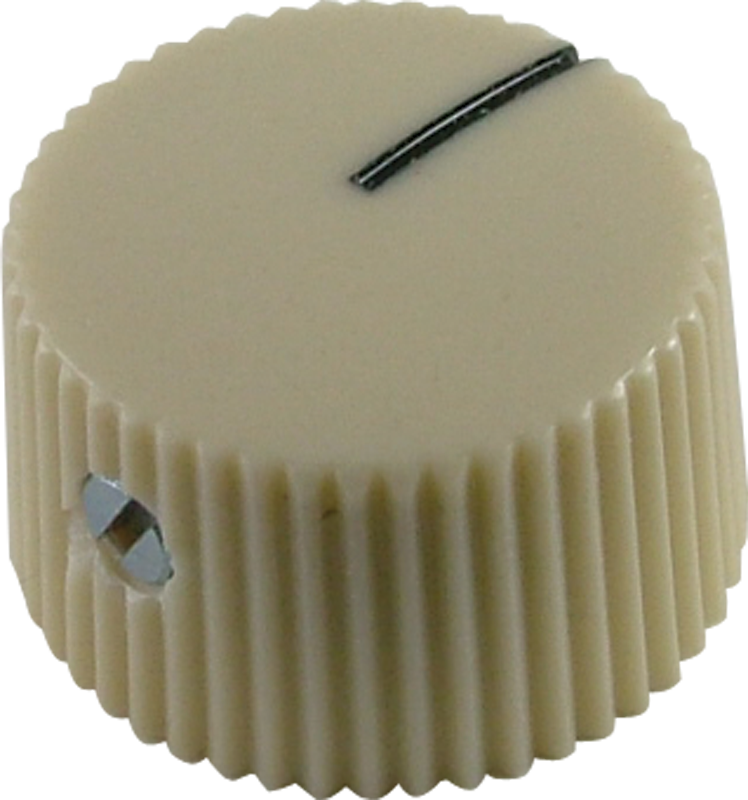 Generic white or brown vintage, priced per single knob. Set Screw. Brass Insert. 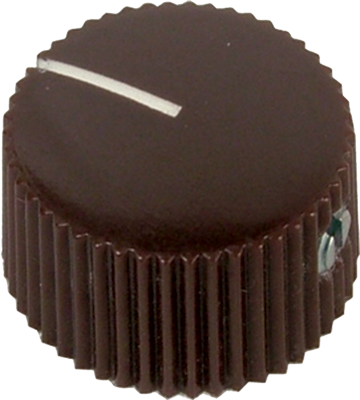 Height: ½", Top Diameter: ¾", Base Diameter: 13/16"
Brown P-K316-1 Weight 0.076 lbs. All models Diameter 0.8 in. All models Item Height 0.48 in. All models Packaging Dimensions 0.9 in. x 0.9 in. x 0.5 in. White P-K315-1 Weight 0.009 lbs. 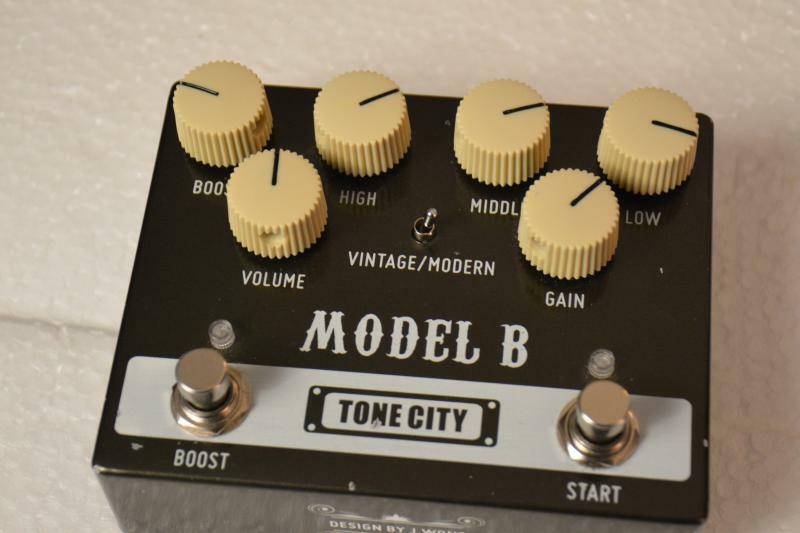 I had bought a guitar pedal online. when it arrived it was missing a knob so I ordered a set of new ones. awesome fit, easy install, they feel great! I wanted different colored knobs for my DrZ amp and these knobs are great. Easy to install and look great. Would recommend. 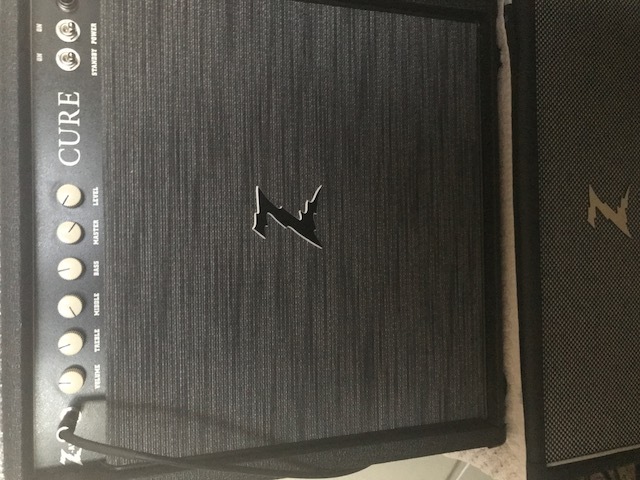 Bought these white knobs to replace black knobs on my Dr Z z-lux amp. The black knobs were a little hard to see in low light situations. I really like the looks of these knobs and they are easier to see for me on my amp. They are identical to the black knobs that came on the amp, just a different color. 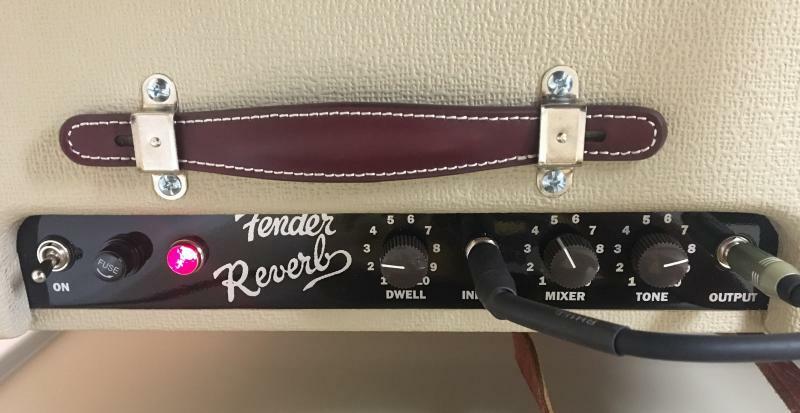 I had one knob missing from my 1962 Fender Twin. This was a perfect match! Great knobs, look good and work good. The only problem was the white line in the knobs. Would like to have all brown. Nice knobs. Look good. Solid feel. Happy with them. High quality part with a sturdy brass insert, but they look slightly cheaper than the Fender branded part. These knob were perfect for what I needed. I have a Bugera G5 Infinium and the knobs it came with are impossible to see what location they're in. Problem solved!!! Great product that worked great!!! Thanks!!! I bought these to replace a missing knob on my Dr. Z Stang Ray. They matched perfectly and secured onto the pot nice and tightly. Very satisfied and great service from T&M. That is good news. Please leave a product review above. It's possible but not necessarily recommended. Depending on where the flat part falls it could cause issues when trying to screw down the set screw. Asked by Anonymous on April 14th, 2017. These will have a diameter 0.8" and a height of 0.48". Asked by Anonymous on February 14th, 2018. If your guitar has 1/4" solid shaft pots then these should work. Asked by Anonymous on February 20th, 2019.